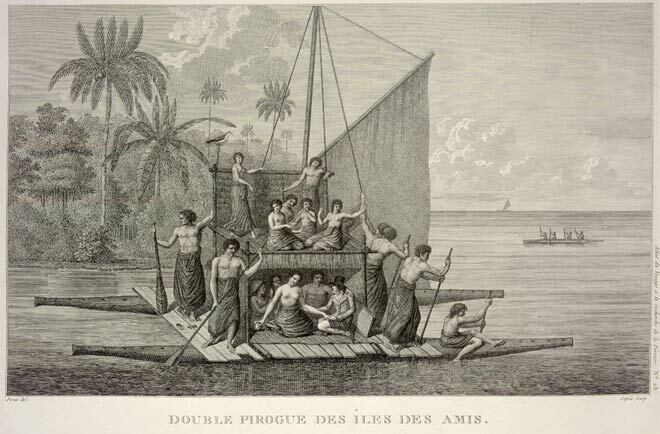 This depiction of a double-hulled canoe, by a French artist, shows a group of Tongan men and women and one European man on board. The vessel has a platform joining the two hulls with a wooden frame that allows the crew to sit on two levels. When Polynesians settled New Zealand in the late 1200s they sailed from East Polynesia in double-hulled canoes.